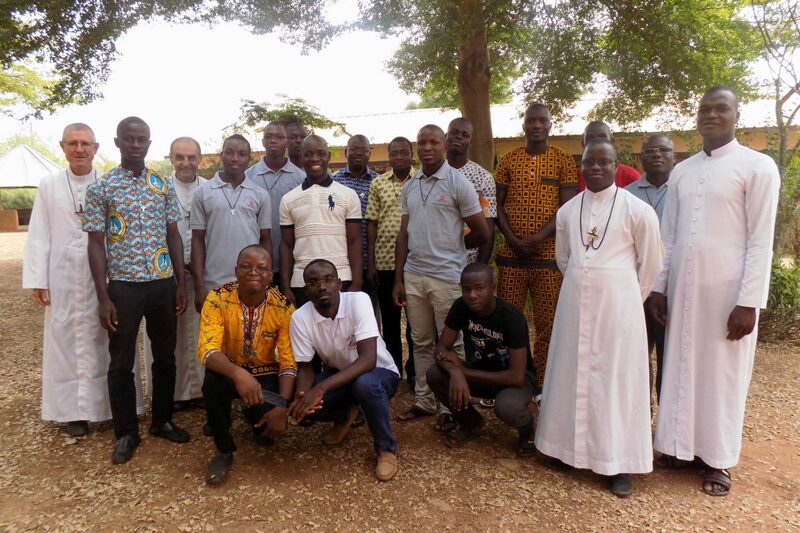 Brothers of Ogaro, Mango and Dapaong and novices and postulants of Ogaro. 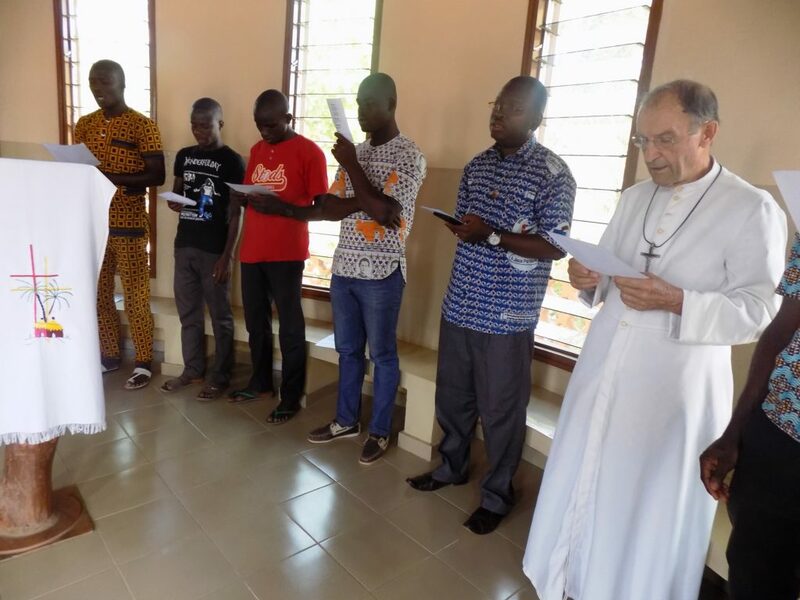 ” The Mennaisian week dedicated to our Father Founder was celebrated in our community of the Novitiate of western and Central Africa, in Dapaong, Togo. It was a favorable moment for us to give respectful testimony to the founding Father, but also a time to pray for his beatification. Throughout the week from 18th to 26th November 2018, we deepened our knowledge of our Father Founder’s life, his works and his merits through various teachings. We also made a pilgrimage on foot of 41 km around Dapaong. We did not stop, all along the route, to execute beautiful songs dedicated to Father de La Mennais, to pray the Virgin Mary through the prayer of the Rosary and also to offer God our small physical sufferings occasioned by the long walk for the glorification of our Venerable Father John Mary Robert de la Mennais . Finally, on the 26th November we celebrated a Mass of thanksgiving at the community of the Novitiate together with the Postulants of Ogaro as well as the Brothers from the Communities of Ogaro and Mango. 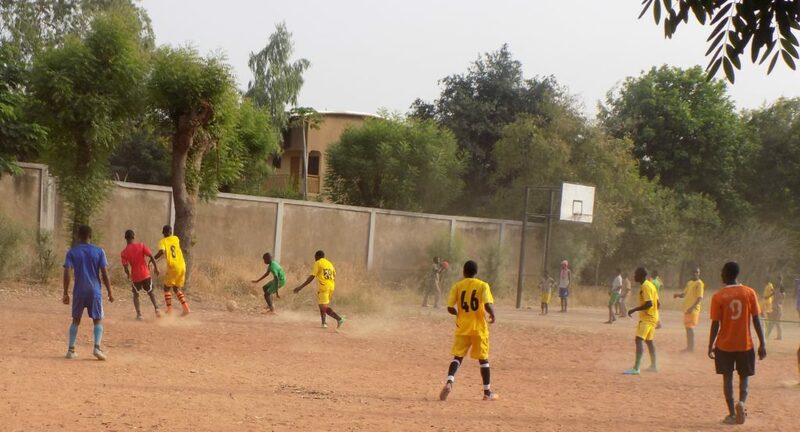 We ended the day with a football match between the young people in formation (Postulants and Novices) and some Brothers, versus the youths from the neighborhood of Nassablé in Dapaong district.